Split test your current landing page with our fresh new landing page design. 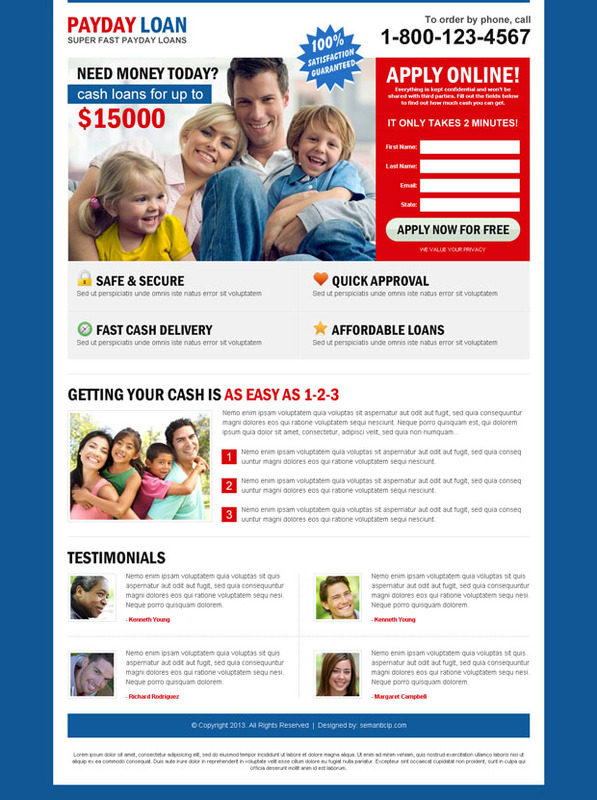 We have uploaded 6 new landing pages in category like auto insurance, payday loan, business opportunity, car hire, fashion and modeling and mortgage landing page design for you to split test your current landing page and increase your website conversion rate. Use our effective landing page design and check out the changes in your conversion rate yourself. 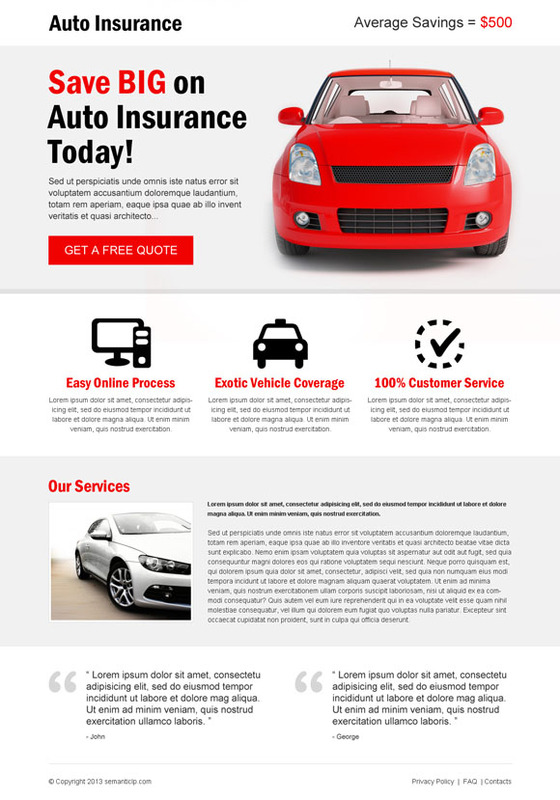 Download clean looking auto insurance landing page designs to increase your leads and conversion. On this auto insurance landing page design there is a clear tagline with nice and bold call to action button. There are three easy steps to describe how auto insurance work, and a detailed paragraph about auto insurance services. So this one is the best auto insurance landing page design to do split test and capture leads and conversion.